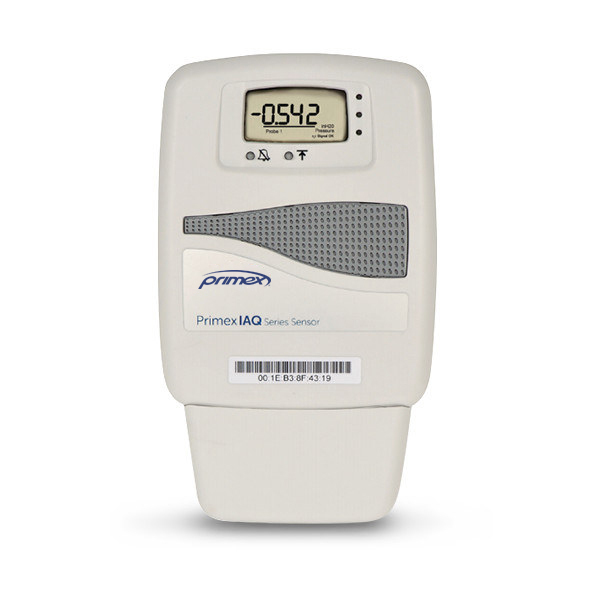 Primex sensors make manual monitoring and data logging a thing of the past. Secure, state-of-the-art sensors continuously monitor conditions, then communicate with our cloud-based OneVue software via your existing IT network to log the data and alert you if conditions warrant attention. Save time, maximize productivity, and create an overall safer environment for everyone within your facility. 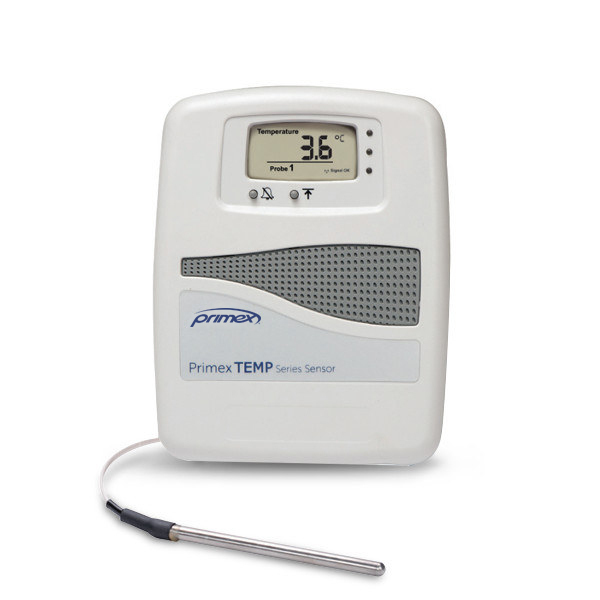 PrimexTEMP sensors feature enhanced communication and authentication protocols that meet today’s stringent IT security policies and completely eliminate the need for manual monitoring and data logging. 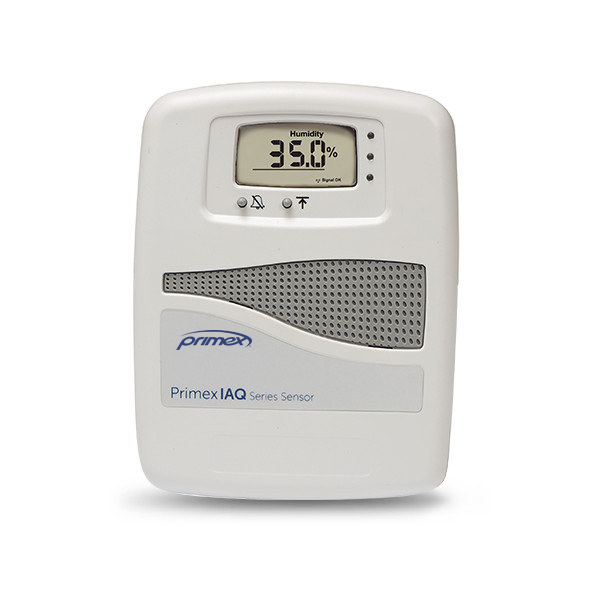 Save time, maximize productivity, and create a safer environment for everyone in your facility with a Primex Temperature Monitoring System. To request pricing or speak with a Primex representative, call 855-557-0337. * Total Hourly Compensation is based on your Average Hourly Labor Rate plus 22% in fully burdened benefits. Primex sensors arrive ready to immediately access your existing IT network infrastructure to communicate with the OneVue cloud application. Simply power up and install. When sensors detect conditions are out of tolerance, your system will automatically call, email or text the key individual you have designated for the specific monitored asset at that time of day. Unique threshold and alerting parameters can be set for each individual device or for groups of devices at one time. All our sensors use advanced authentication and encryption protocols (including EAP-Fast, EAP-TLS, WEP, WPA and others), to ensure all communications are secure. OneVue automatically captures, stores and backs up monitoring data ─ eliminating lost and incomplete information logs. Data can be exported for compliance reports or regulatory audits with just a few clicks. Monitoring capabilities and exported documentation meet or exceed the requirements of the TJC, CDC, VFC, FDA, State Boards of Pharmacy and other authorities having jurisdiction.